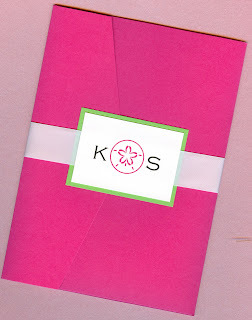 Kathryn and Scott contacted us to create a custom invitation for their Florida destination wedding. 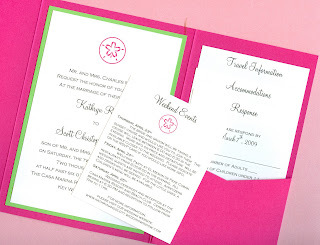 Their couture invitation incorporates a watermelon pocket, bright lime green backing layer and matching sand dollar images. We love the color scheme they chose for their seaside celebration. We hope their special day is as bright and cheerful as their invitation turned out. Enjoy! Thanks again Allison!!! We love the invites! They look even better online! !